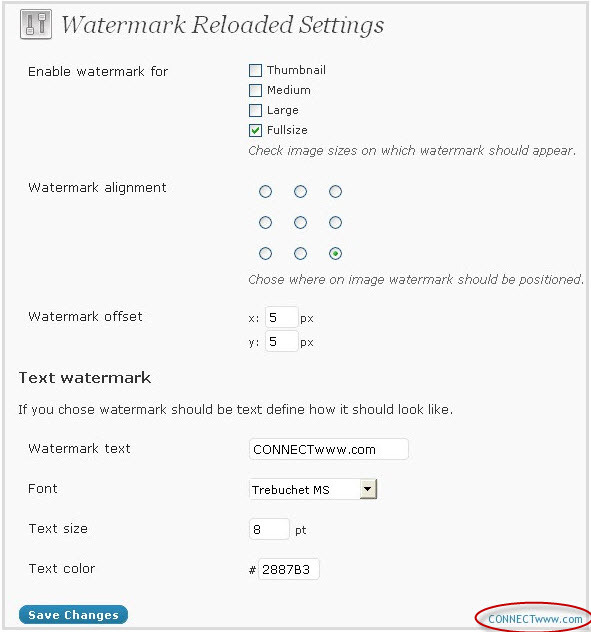 Another wordpress watermark plugin that automatically watermark the images you upload and publish. 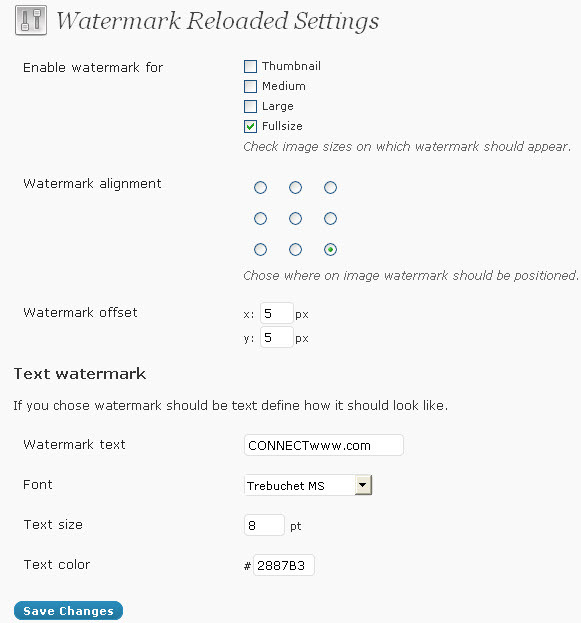 1.Download Watermark RELOADED plugin from this link. 3.Login to wp-admin.In your admin dashboard click plugins and activate the Watermark RELOADED plugin. 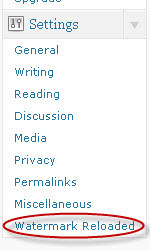 4.Then go to settings and click watermark Reloaded. 5.configure the settings and click save changes.